It looks like Dark Phoenix is going to have a relatively strong connection with Deadpool 2. The X-Men movies, at some point, just kind of gave up on caring about continuity that made any sense. Fox seems to have abandoned trying to fix this and instead has just been making the movies they want to make, how they want to make them with connective tissue being provided when it works for the movie at hand. Such is the case with Dark Phoenix, thanks to some recently revealed information. The first trailer for Dark Phoenix finally arrived online and it has fans speculating away as to what it all might mean, as much of what's to come is still largely mysterious. Following the release of the trailer, a new still was released, featuring actor Andrew Stehlin, who is playing a pretty obscure mutant from the X-Men comics named Red Lotus. This connects directly to Deadpool 2 in a pretty fascinating way. Early on in Wade Wilson's recent solo adventure, Deadpool is hired to take out a gang. Wade is handed a card with Chinese lettering on it prior to carrying out what he was hired to do and the writing, when translated to English, spells out Red Lotus. This can't possibly be a coincidence and, when digging further into the character's backstory from the comics, it makes even more sense. Red Lotus is a mutant with, by mutant standards, kind of mundane abilities. He has enhanced physical strength and agility, as well as a mastery of martial arts. It makes him formidable, but it's not quite as cool as Adamantium claws. But that's beside the point. Red Lotus was heir to a Chinese gang. The murder of his grandfather was used to make him a foe of the X-Men. That eventually got sorted out and, when realizing they weren't actually enemies, Red Lotus fought with the X-Men. This is where things get really interesting. In the comics, around the era of the Dark Phoenix storyline, Red Lotus fights with Magneto's Brotherhood. He eventually breaks away and inherits his Chinese gang. He then hires an assassin to take out the competition. Is it possible that the scene in Deadpool 2 was Wade carrying out exactly that order from Red Lotus? It doesn't seem like a huge stretch at this point. 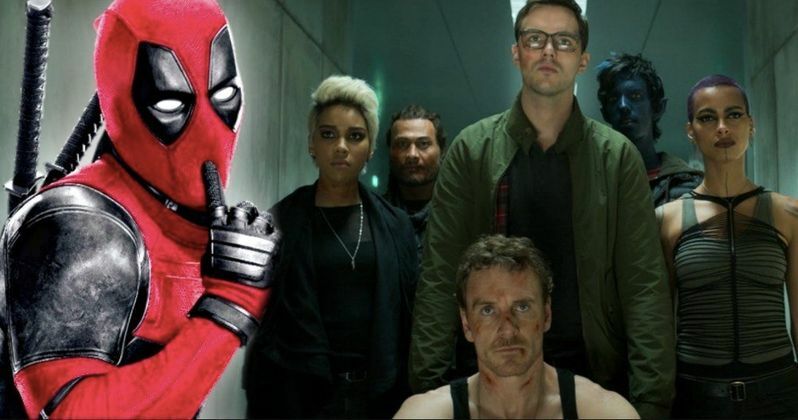 There's also the matter of the current cast making a cameo in Deadpool 2, which directly tied the universes together, while also further complicating the timeline. Messy as the X-Men movie continuity may be, this is a really cool example of subtle but important connectivity between the franchise. This also opens the door for a possible, if unlikely, Deadpool cameo in the upcoming X-Men franchise entry. Dark Phoenix is set to arrive in theaters on February 14, 2019. You can check out the photo of Red Lotus below, which was originally revealed by IGN.